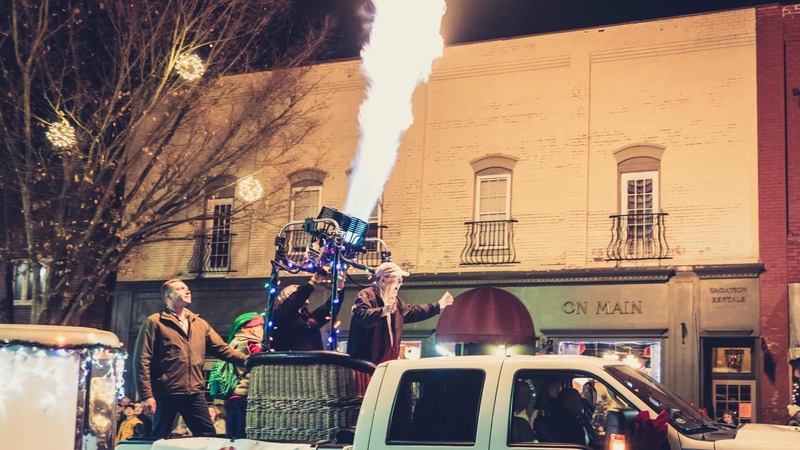 Locals and visitors tend to agree that the holiday season in Haywood County is nothing short of magical. Surrounded on all sides by iconic Blue Ridge peaks, it’s easy to forget you’re in Appalachia and not in a blockbuster holiday rom-com. We’ve got seasonal markets, shows, parades, and other celebratory events slated for the coming weeks—keep reading to find out what they are. Get some of your Christmas shopping done at any of our seasonal markets, featuring handcrafted finds from our local artists and crafts people. This pre-Thanksgiving market at the Haywood County Fairgrounds will get you into the holiday spirit, as it’s packed with some of our finest vendors spreading holiday cheer. Maggie Valley’s holiday season kickoff event will feature a new name with new attractions this year, including the Christmas market. Admission to the event is free, so there’s no reason not to stop by the market if you’re in town. Head into December the right way! This market, also being held at the Haywood County Fairgrounds, will have over 50 local vendors selling unique treasures. HART Theatre is bringing joy this year the best way they know how: memorable seasonal performances with the best local talent they can find. Make sure to get your tickets on their website. This Kids at HART production is a take on the classic holiday movie, “Elf.” Sure to be witty, cheerful, and fun, this show will get you in the mood for the holidays. Another take on a classic film, HART’s production of “A Christmas Carol” will bring you through the past, present, and future of Ebenezer Scrooge. This is a holiday favorite you don’t want to miss! Immerse yourself in the spirit of the season at one of our Christmas parades through a local town center. 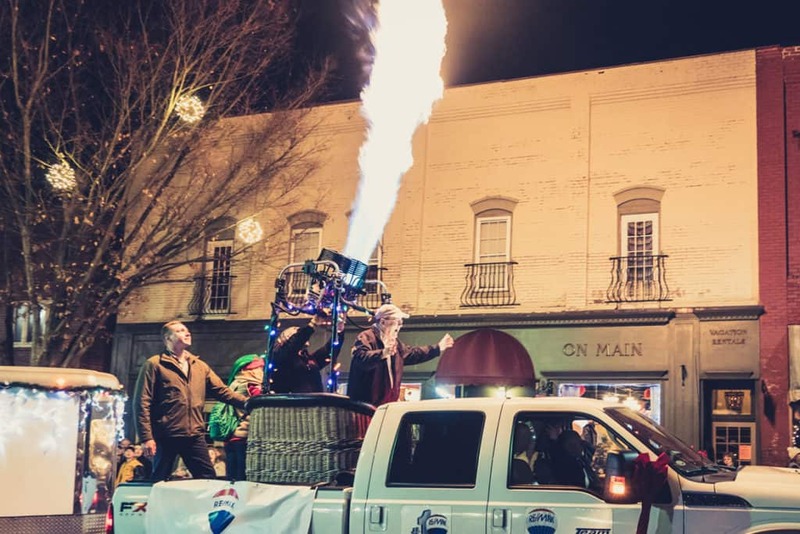 This community tradition continues for yet another year as several luminous floats make their way down Main Street from 6:00 – 7:30 pm. Last year’s parade was a blast! Check out our recap for an idea of what to expect this year. Enjoy another vibrant celebration in beautiful Downtown Canton with fellow Canton residents and local businesses. Last year’s turnout was amazing, but we’re hoping to top it this year! No one does festivals like Haywood County! While the Art of Music Festival will be in Lake J at the beginning of December, here are some other holiday happenings to mark on your calendar. Maggie will get lit on the Saturday after Thanksgiving at the Maggie Valley Festival Grounds. New additions to this year’s festival are the previously mentioned Christmas Market, a Kid’s Zone, and several food vendors. This celebration weekend starts on Friday with the Downtown Waynesville Christmas Tree Lighting and ends on Monday with the Waynesville Christmas Parade. The days between are filled with other activities and festivities to enjoy on Main Street. Get your family’s tree at local-favorite Boyd Mountain Tree Farm in Waynesville. Don’t wait on this one—trees sold out quickly last year! 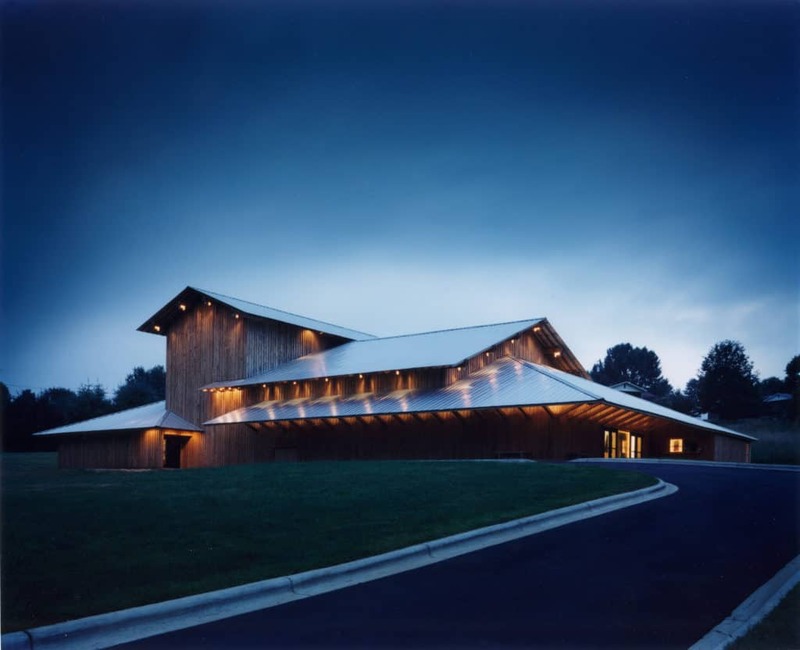 Celebrate the biblical story of Christmas along with some carols in a historical Canton barn. Admission is free, but donations to The Community Kitchen in Canton are welcomed. An authentic Appalachian Christmas isn’t complete without live music, famed storytelling, hearty meals, and moving worship. Lake J is bringing several events your way—check them all out here. The festivities in Downtown Waynesville are just getting started! All shops, galleries, and restaurants on Main Street will be opened for this evening of Christmas celebration. First Baptist Church will be transformed into a Bethlehem-style marketplace for the night as well. Join us for an all-day holiday celebration! Start bright and early with a pancake breakfast, then enjoy events like ornament making workshops, Christmas carol singalongs, cookie sales, and much, much more. The countdown begins in downtown Waynesville! Magical moments and memories fill the downtown district for 12 straight days. If you’re making plans to spend the holidays with us in the Smokies, make sure to book your ideal rental home or cozy cabin before they run out! Share your photos on social using #HAYNOW to be featured in our social and blog posts. Happy holidays!